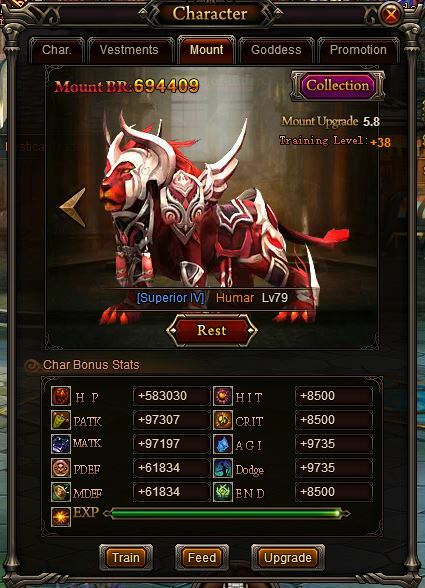 North America Forum»Forum ›Knights Fable ›General Discussion › BR per mount evolve? Hey guys, Samael from 204 here. I am interested in seeing if mount soul level effects the BR gain from doing the evolve. ATM I\'m getting a little over 50k BR per Evolve. This is my mount set up. 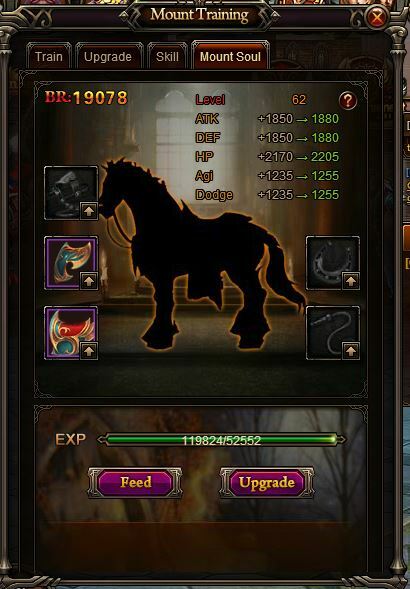 I just want to see what amount other people are getting and if its different for different mounts. 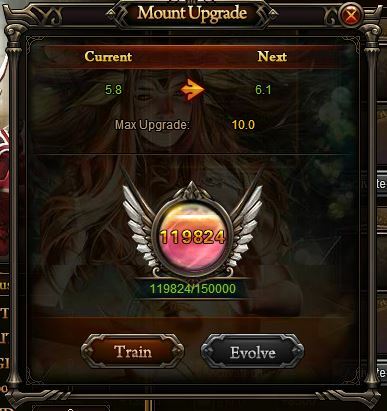 Soul doesnt matters, ;i think it matters on mount train/upgrade (for lucky orbs or something). I ;get 44k br each time i evolve it. 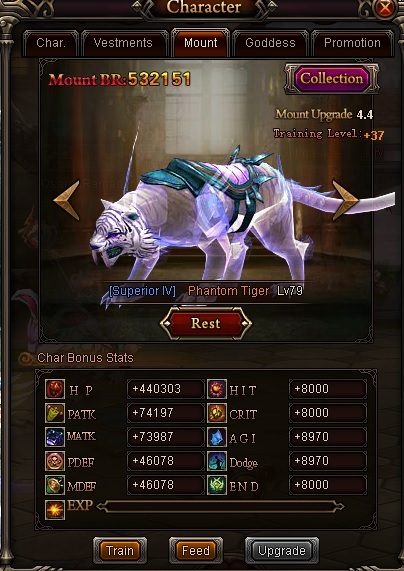 yeah about 45-50K each upgrade, soul doesn\'t seem to matter. I\'m getting around 60k BR per upgrade. What level/color is the horsewhip? ;Is that an Orange from LVL 8 hell? 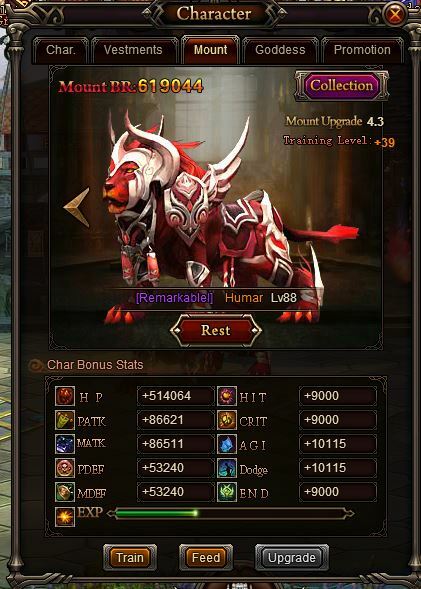 I wasted my 1.2k mount exp pots for Mount Soul though.... trying to slowly upgrade. 2019-4-20 01:09 GMT+8 , Processed in 0.059605 second(s), 52 queries .